Dr. Taylor serves the North Hills School District as Assistant Superintendent. Prior to arriving at North Hills in 2006, Dr. Taylor began his teaching career as a biology teacher in the Fort Cherry School District from 1994 to 1996 and Baldwin-Whitehall School District from 1996 to 2002. He began his administrative career in the Charleroi Area School District where he served as an assistant high school principal, academic principal, high school principal, and the secondary curriculum coordinator. Dr. Taylor served North Hills School District as the Director of Curriculum, Assessment and Technology prior to being commissioned as the Assistant Superintendent for Curriculum, Assessment and Special Programs in 2012. He became the Assistant Superintendent for Curriculum, Assessment and Elementary Education in 2016. His current position encompasses K-12 curriculum and assessment, online learning, professional development, integrating instructional technology into the curriculum, comprehensive planning, PIMS management, data analysis, elementary education and various other administrative special projects. During his administrative career, Dr. Taylor has had the opportunity to serve on the Pennsylvania Association for Supervision and Curriculum Development (PASCD) State Executive Board since 2003 and the Technology Committee Chair. Dr. Taylor’s article, “Competing with Cyber Charters,” was published in School Administrator, a nationally distributed magazine. He has presented at various professional conferences including the Association for Supervision and Curriculum Development National Conference, the Pennsylvania Association for Supervision and Curriculum Development State Conference, Pennsylvania Association of Elementary and Secondary School Principals' State Conference, and the Pennsylvania Educational Technology Expo and Conference. Dr. Taylor's work was recognized in 2008 with the PASCD Robert E. Flynn Distinguished Educator Award, in 2011 with the PASCD Supervision and Curriculum Award, and in 2012 with the PASCD President’s Award for his efforts in promoting the use of technology across the state. 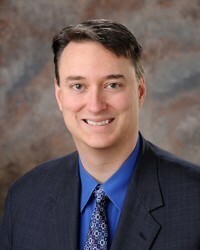 In 2010, Dr. Taylor received the Outstanding Contribution to Online Learning Award from Blendedschools.net for his work to create the Online Academy @ North Hills. Dr. Taylor also has received international recognition for being presented with the 2012 Blackboard Catalyst Award for Exemplary Online Course Development. Dr. Taylor maintains his professional affiliation with several organizations that include the Association for Supervision and Curriculum Development, the Pennsylvania Association for Supervision and Curriculum Development, and the International Society for Technology in Education. Dr. Taylor's Performance Standards mirror those of Superintendent Dr. Patrick J. Mannarino. Dr. Taylor was evaluated on May 10, 2018. His evaluation rating was approved by the NHSD School Board on June 7, 2018.